16:41:13 Mission DayZMod read from bank. Want to thank you for your work and for the callExtension for linux server. I collected some function that i want to use in ArmA 2 OA. Please consider to add them. 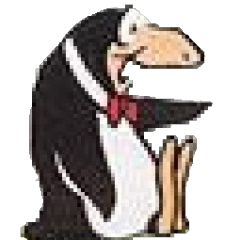 Another thing is the Headless Client for Linux it doesn't seems to work. also are those errors seen by just starting game ? 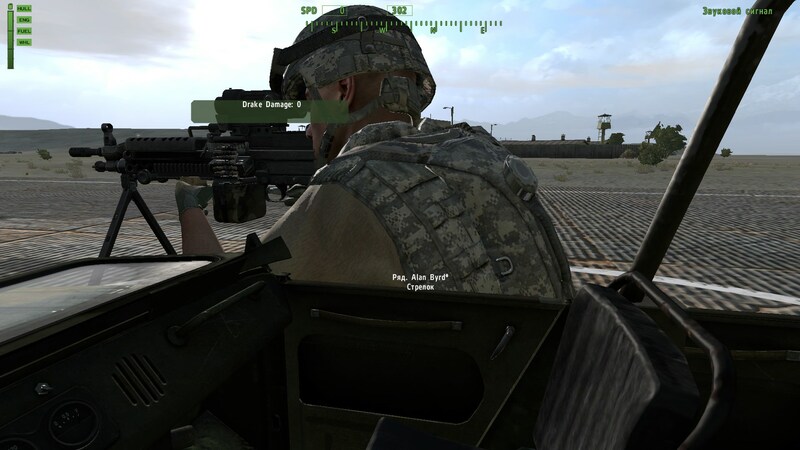 are you on Arma 2 stable or Arma 2 beta branch? No changes on Ubuntu 17.10 (32 bit). The server stops at "Mission *** read from bank". The strace tool don't show any activity. Sorry for a really stupid question but how do I install this patch? Yes, my addon stopped working after arma 2 vanilla was updated. Stable. I fixed it by moving AddOns and Dta folders into A2OA game folder. that's definitely not correct fix ! best is start STEAMclient via "run as administrator"
I'll provide a simple mission for diagnostic. No mods, just a normal install of Arma2 and OA. 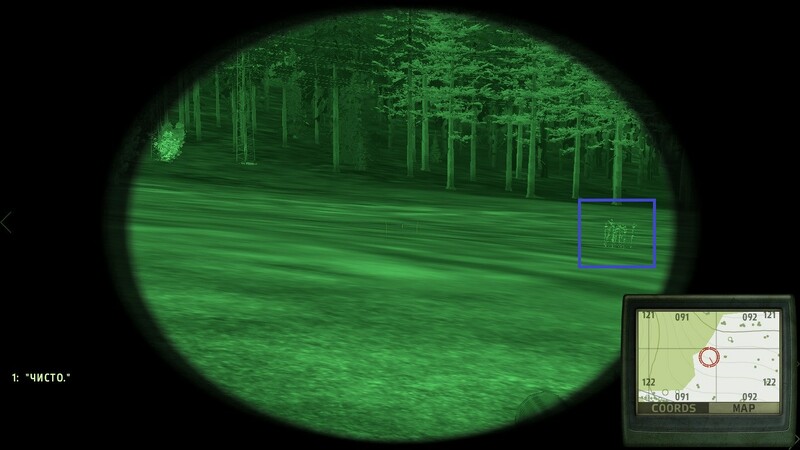 All you have to do is activate NVG and fire a flare straight up, anytime after 20:30 the bug is at its worse. Vegetation starts flashing/flickering between a white texture and a black square as some kind of alpha bug? Huge black squares on the terrain start flashing/flickering some kind of grid z-fighting bug? NVidia or AMD GPU, new or old drivers. High end GPU or Low end GPU, We have tried everything. End of the day if an enemy fires a flare its game over. This bug is so bad it needs seizure warning. Please consider looking into this game breaking bug. If you're not running beta, but another version, you would switch to beta version. Beta in Steam is installing the latest candidate from first post (currently v1.64.144373). And if you are already on beta and it's not updating, you might check your update setting in Steam, could be turned off or waiting for your prompt to update. When you have Combined Ops (CO, which is A2 + OA), it's important that both A2 and OA are set to beta, and that A2 gets loaded and launched first before OA gets loaded and launched. CO needs A2 content to run before OA gets run. Whenever versions are switched, download- verify- launch A2 first, then download- verify- launch OA. 1.) Have Steam launched in administrator mode. 2.) In Steam library right click A2 game and select properties. Select 'betas' tab and choose -beta from the list. An update queues. Wait for the A2 files to complete downloading. 3.) Right click A2 and go to properties again, select 'local files' tab. Choose button: Verify Integrity of Game Files. Wait for verification of the files to complete. 4.) Launch A2. You only need to reach the main selection screen. 2.) In Steam library right click OA game and select properties. Select 'betas' tab and choose -beta from the list. An update queues. Wait for the OA files to complete downloading. 3.) Right click OA and go to properties again, select 'local files' tab. Choose button: Verify Integrity of Game Files. Wait for verification of the files to complete. 4.) Launch OA. You only need to reach the main selection screen. I found some time to reason why we need functions I asked for in my previous post to not look like a kid that just want some new toys. I hope it will be helpful for you. At the moment you can only sit someone to specified cargo index but you cant get the cargo index of someone if you want to perform some operation that involve getting the unit out then back. The maximum that you can do, map every position in model space, but it is too match work and not very reliable. Can be reproduced if the above function will be added, but still will be better if we don't need to go trough every unit in the vehicle and check its cargo index. At the moment there is no way we can specify the ammo count of specific turret. 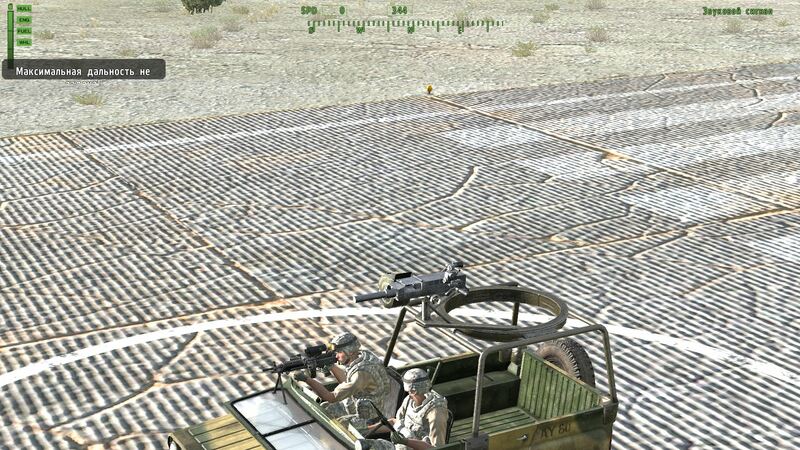 The only way is to unload the whole vehicle then add the needed magazine after that set the ammo of the vehicle from 0 to 1 find the right number and fill up all other turrets on the vehicle. And the worst thing that with this method you can only set specific ammo count only for one turret magazine. You can only get it by recursively going over the config of the vehicle and applying weaponsTurret to all turret path. 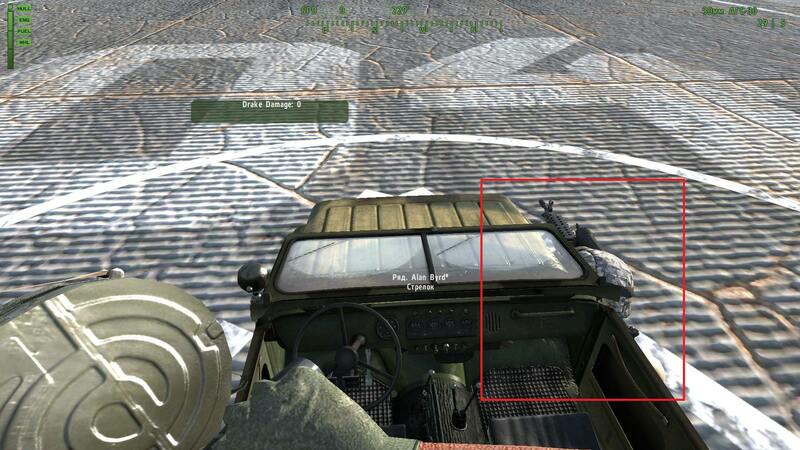 There is no way at the moment to get ammo count of vehicle turrets by scripts. Sorted by the most important. We have hideObject, but it is local and it can not hide trees and some specific buildings and structures on map. We have local version only. Good to have when working with attach. Many times i needed this functionality and can't done my mod ideas. Needed for some advanced game interface projects. It was asked by mission makers many times from me: Is it possible to set the moon phase? At the moment we can do it using only external dlls. It will be useful for kill shots making. Without this command if we want to rotate controls on the screen, that means make 360 .paa-s after load the necessary one. Not the best way but we have no other way to do it. I have an idea, which may actually fix this issue but we need your assistance if we may ask? Countermeasure Flares don't have a flickering light source, which don't cause z-fight bugs with the terrain and vegetation. The theory is to actually disable the 'flickering' effect of the flare, which is apparently the reason why this bug occurs. 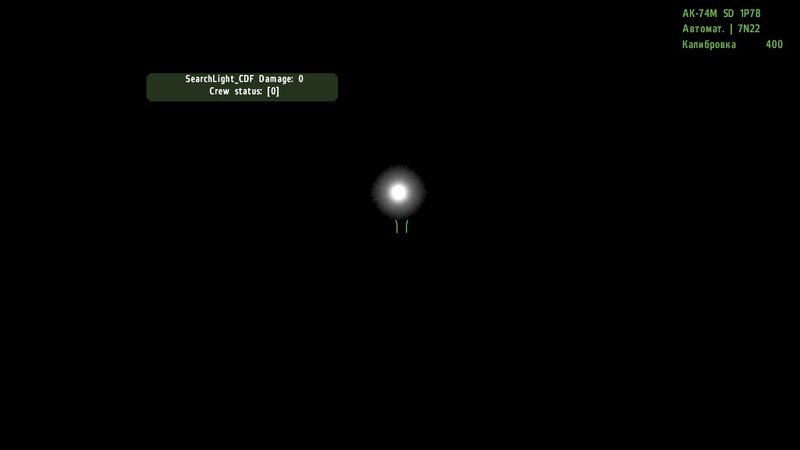 If you fire a flare at nighttime, looking at the terrain without nightvision active you can see the bug, as the flare increases light the terrain goes black. As soon as the flare dims the terrain is rendered normal. Its the flares effect causing this. The problem is, how do you actually disable the flickering parameter of a light source? ie the flare? We researched the setParticleRandom' and setParticleParams' but unless we missed something we couldn't see any parameter for the flicker effect? Another theory could be to setup the flares parameter similar to a streetlamp, a coned source of light instead. Also I don't know if the script provided is for countermeasure flares only I'm not 100% sure? I know we can fix this BIS Devs the theory is there, we just need to execute the parameters which in all 6 years of modding Arma2 we have never had to edit light sources. Any help would be greatly appreciated. Thankyou for your time and hope to speak soon. The effect is o.k. If you have a bright light at night there is a certain amount of dazzle to your eyes, the game reflects that. This is why the terrain darkens a little. If you wore n/g they would white-out (green-out;)), more or less, its what happens. Hello and thankyou for the reply Chris. The effect is not ok if the terrain flashes huge black squares and the vegetation flickers from black squares to white textures. I even provided a simple mission pbo where if you have 5 mins spare please load up the mission and all you have to do is fire a flare straight up. Then you will 100% understand why this flare flickering effect needs to be either disable or toned down drastically. And in addition, is it possible to fix the bushes on distance and light at night? Are you lads running any mods ? Hello Chris thankyou for the reply. I spent weeks going through every single patch for Arma 2 and OA. Also editing the Video options and config files till I bashed my head against the wall and realized 'Every' patch has this issue. For diagnostic I have 3 units with different versions. Its a real shame because the amount of work BIS coded with the star system is outstanding. We should be able to enjoy the nighttime, not have a near seizure when the terrain starts flashing black squares. If BIS would kindly point us in the right direction where the flares light parameters are located we will be able to fix this issue by disabling/reducing the flicker effect. We can edit the parameters with Ace_sys_Flares but we don't know what parameter controls the flicker effect? Thankyou for the screenshots Noma greatly appreciated. Is it possible to fix the rendering issue, when you attach something to a vehicle and then look at it from inside of the vehicle first person view? Example images below. FALSE ALARM: Steam client apparently messed up update FYI: after latest update to A2 stable branch, A2 content is not properly recognized when playing OA/CO stable (notice only 4 icons on the lower left, and "arma2" mod activated in upper right). None of the A2 missions (SP, MP, Harvest Red campaign) can be accessed. However units, weapons and islands can be used without problems. 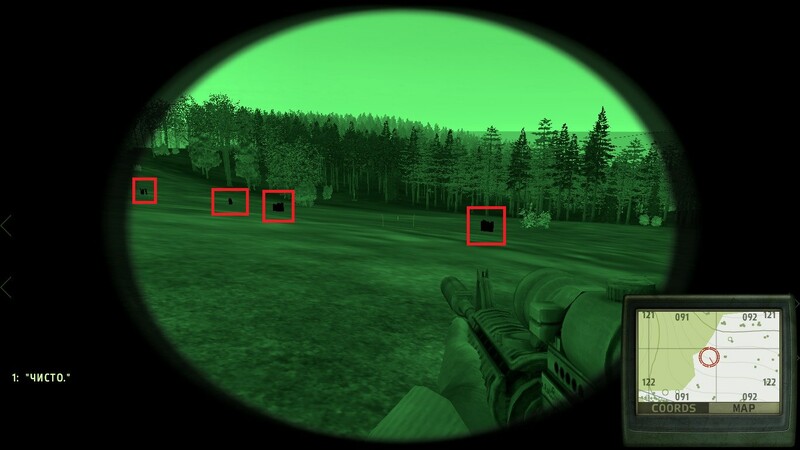 FYI: after latest update to A2 stable branch, A2 content is not properly recognized when playing OA/CO stable (notice only 4 icons on the lower left, and "arma2" mod activated in upper right). None of the A2 missions (SP, MP, Harvest Red campaign) can be accessed. However units, weapons and islands can be used without problems. I just switched from beta (both A2 and OA) to stable, and it's not recreating what you show. I get all five icons lower left, (A2,OA,BAF,PMC,ACR) and the A2 missions content is accessible. Are you launching by using mod params that exclude A2? or if launching by .bat file, check its param: -mod=. -nosplash -showScriptErrors -world=empty "-mod=C:\Program Files (x86)\Steam\steamapps\common\Arma 2\arma2.exe;Expansion;ca;BAF;PMC;ACR"
-nosplash -showScriptErrors -world=empty "-mod=C:\Program Files (x86)\Steam\steamapps\common\Arma 2\arma2.exe;Expansion;BAF;PMC;ACR"
All of them reproduced krzychuzokecia's issue. 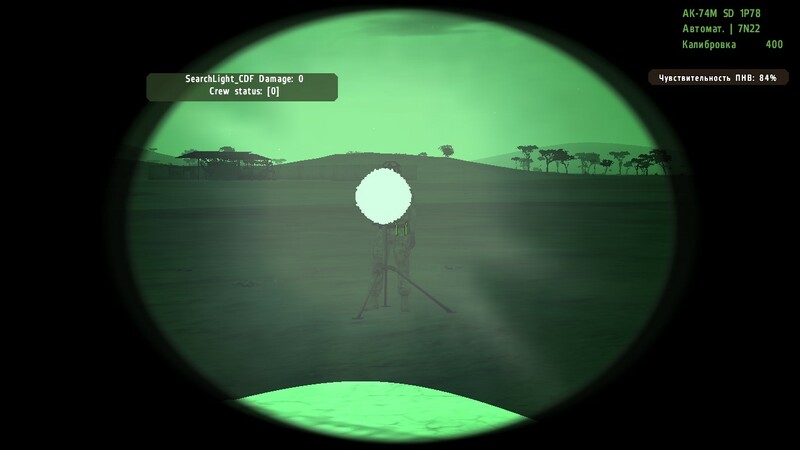 Only when the -mod= line was variously restored to "-nosplash -showScriptErrors -world=empty" did Arma 2 content reappear. Using the "Expansion" launcher for mods worked fine though. Seems the issue is perhaps with using the -mod= param? Could reproduce the issue with more testing. @opusfmspol I was running it directly from Steam client, so I wasn't messing with params. Apparently Steam client failed to properly update the game - I verified local files integrity and it redownloaded 18 files. Several times in a row (when update rolled out, verifying game data showed no problems at all). Finally I simply redownloaded whole A2, and now it works. Blame Valve, not BI! Now I apparently have to do the same. I noticed A2 made no switch download when I went from beta to stable, but Dwarden had posted earlier "A2 beta branch == A2 stable branch", so I thought nothing of it. Appears something does need changing though.